Microsoft, which last year made a failed $47.5 billion takeover bid for Yahoo, would finally win what it wanted most from the Internet pioneer — huge volumes of queries that run through Yahoo’s search engine. 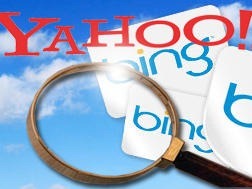 At the same time, Yahoo is expected to reap additional search-advertising business to expand its share of the market. It isnâ€™t clear who would benefit the most out of this, as Bing would get the much needed boost in search market volume, while Yahoo! would get better search advisement deals via Microsoft adCenter. Besides that, I donâ€™t think other players like Google would be sitting quietly about this, because the Google Yahoo! advertisement deal also attracted a lot of attention from legal authorities. Since we donâ€™t have any official details about the deal yet, so we canâ€™t jump to conclusions. Expect more on this topic soon when the details about the deal are finally revealed. Ran 11 queries in 0.140 seconds.